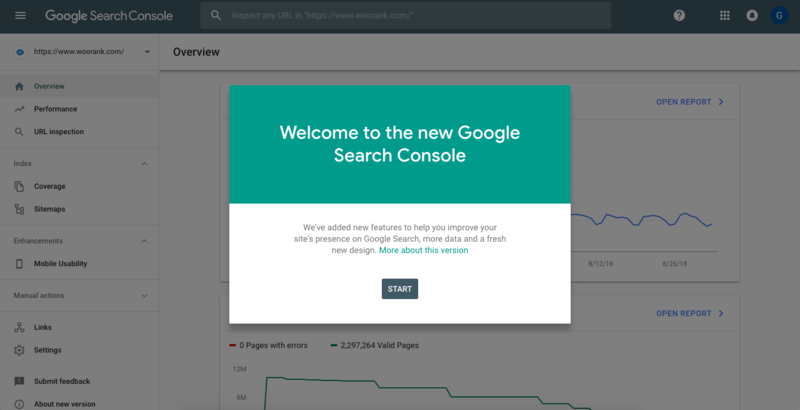 New Search Console is (Finally) Out of Beta! We believe that the most common use cases are supported, in an improved way, in the new Search Console. Manual action report added to the Overview page. The URL Inspection tool now runs on the live version of a page, instead of the version of the page in Google’s index. 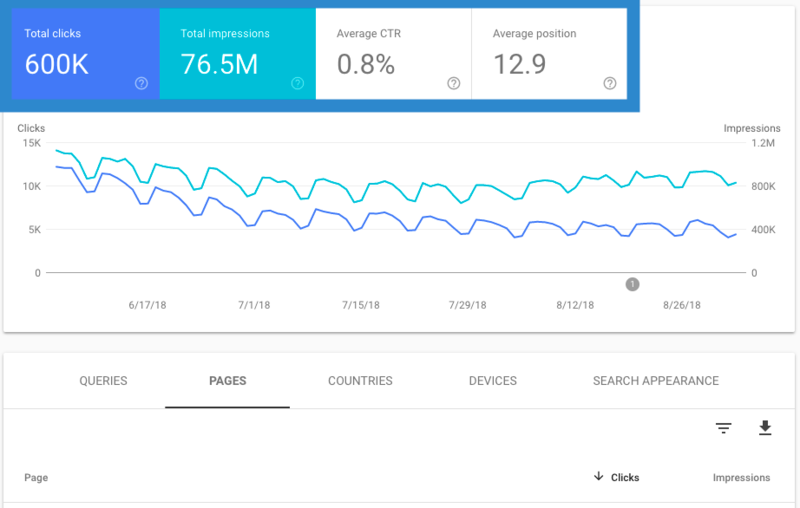 If you haven’t seen or tried the new Search Console yet, there are some significant changes and upgrades to the data available to you about how Google sees your website. In this section, we’ll dive into the different reports available to you and how to get the most out of all the data Google puts at your fingertips. The big change here is that data in the new Search Console goes back 16 months, which is a big improvement over the 90 days in the old version. In our opinion, it’s much easier to slice and dice data or drill down to the page and query level in the new version than the old. Add a filter: You can filter your performance metrics by date or by any of the grouping options. You can filter by exact matches to see specific queries, or to include any data containing certain text, to see how your blog is performing over time. You can also add a filter by search type (this isn’t available as a grouping in the table) to see performance in normal Google search results, image results or video results. Compare your data: You can compare metrics for any 2 exact values for the same grouping. So, for example, you can compare clicks from Spain to clicks from Canada, or positions for 2 queries or compare how all metrics have changed from one week to the next. When you compare data, one segment will show as the normal solid line while the other will be displayed as a dotted line. What happened to my data on August 19? Google changed the way it reported data for certain queries. Read our full explanation. Impressions: If 2 pages on your site rank for the same query, only a single impression will be recorded in Search Console. 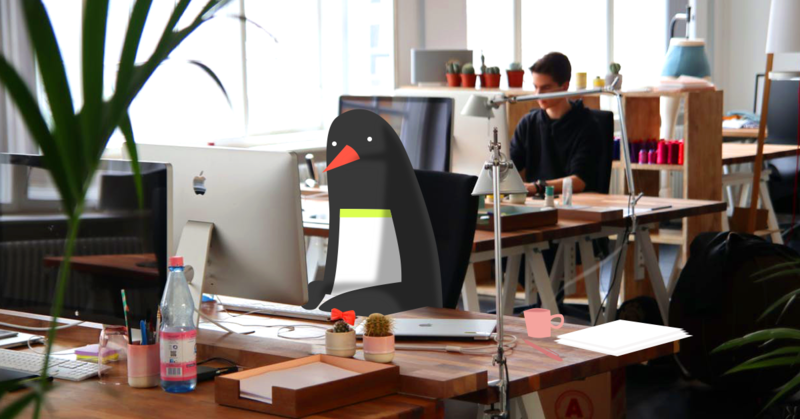 Clicks: If a user clicks on your site, goes back to the search results and clicks on your site again, Search Console will only report one click. Position: The position for the top ranking page will be recorded. So if you have different pages ranking first and third for a query, Search Console will report your site as first for that query. 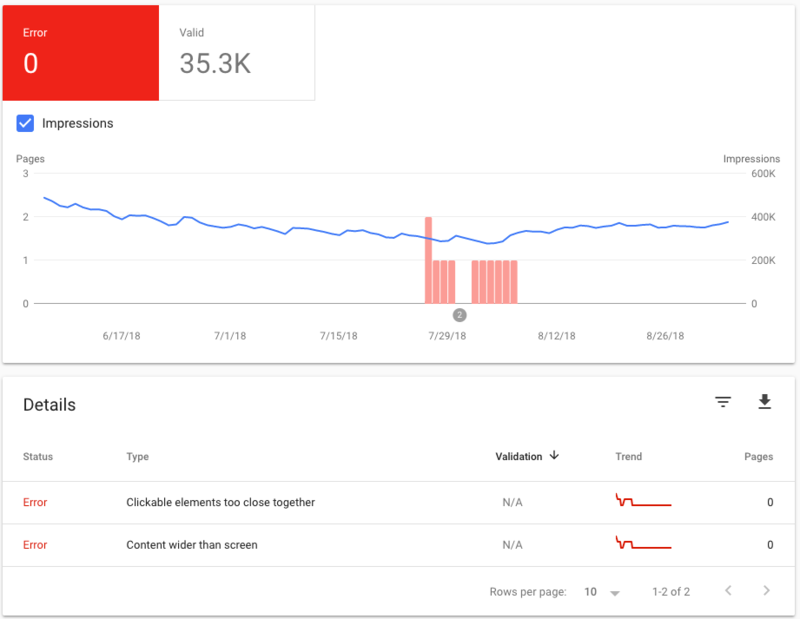 For more advanced analysis, there's a nice free way to get more out of the new Performance report with Google Data Studio's Google Search Console Connector. Data Studio includes a free template for Search Console data. 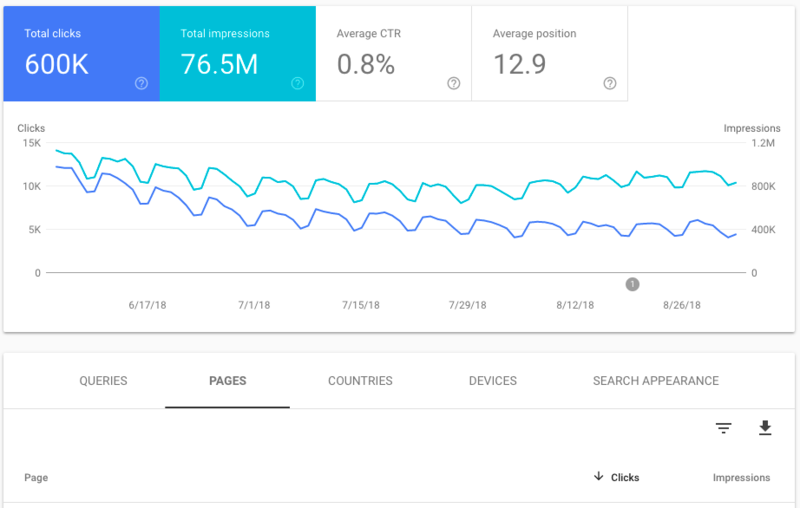 Aleyda Solis provided a more detailed explanation of the Google Search Console Connector on her blog.. The new URL inspection tool, which was released in early June, gives you a detailed look at how Google sees a particular URL. The tool will also list any enhancements, such as AMP or structured data, found on the page. Valid with warning: Pages that Google can index, but thinks that you probably don’t want indexed, such as when you disallow a page via robots.txt, but Google finds it via an external link. Valid: Pages that appear in Google without any issues. All good. Excluded: Google decided not include these pages in their index for some reason other than an error. This could be because there’s a canonical or a redirect pointing to another URL or, in the case of "crawled — not indexed," some other reason they don’t specify. It plots this data over time. 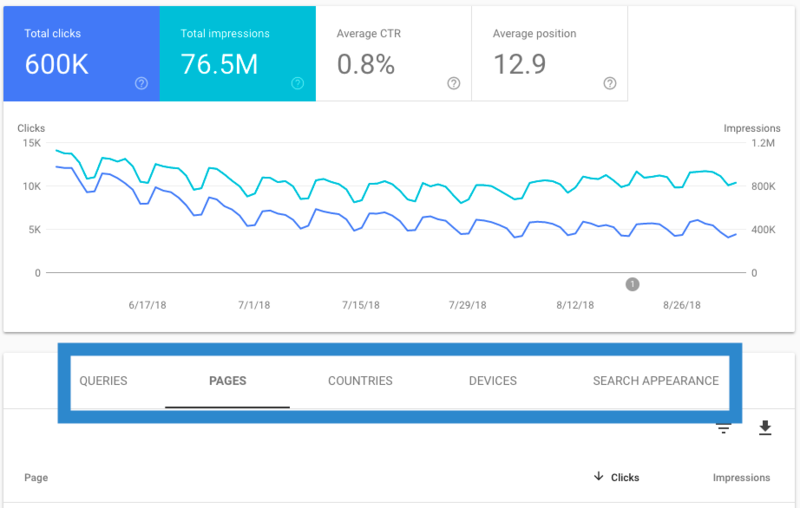 You also have the option to include your site’s impressions (from the Performance report) to see if/how indexing is impacting your site’s SEO performance. You also have the ability to filter this report by all pages Google has found on your site, URLs you’ve submitted to Google or just the URLs found in your sitemaps. The great thing about the Index Coverage report in the new Search Console is that it gives you the ability to inspect any URL not appearing in the index (using the URL inspection tool), test your robots.txt file to see if its disallowed there, and have Google fetch the page. You can also ask Google to recrawl an unindexed page after you’ve fixed any errors to get it into Google’s search results quickly. 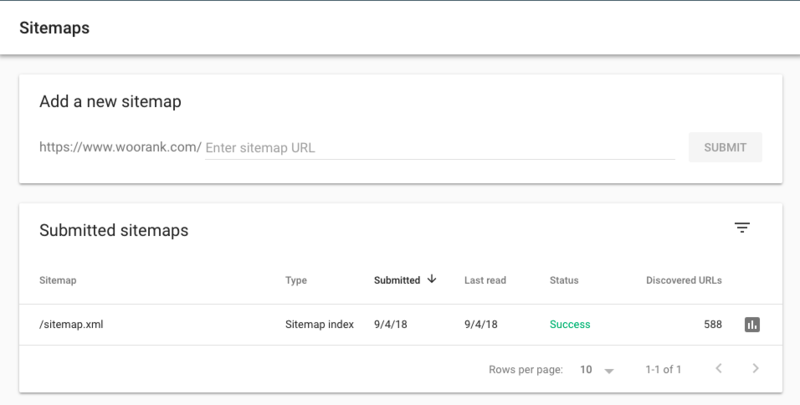 In the new Search Console, you can easily submit new sitemaps and/or check the status of any of your sitemaps. The "Status" column in the submitted sitemaps table will tell you if your sitemap was successfully processed or if any errors prevented Google from processing it. Success: This means exactly what you think it means: Google could load and process your sitemap without any issue. Has issues: Google could load your sitemap and possibly read and access some URLs, but some errors stopped it from fully processing the file. Couldn’t be fetched: The sitemap couldn’t be fetched at all so Google couldn’t access it. You can access the sitemap’s Index Coverage report by clicking the icon either in the submitted sitemaps table or the sitemap’s details page. Errors introduced in a new (or existing) template, sitemaps including noindexed URLs or pages requiring a login. Errors in your robots.txt syntax that’s causing Google to not index certain pages you want to appear in SERPs. The Mobile Usability report tracks the number of pages on your site that are considered mobile friendly and the pages with usability issues for visitors using mobile devices. Like with the Index Coverage report, you can add impressions to the overview graph to compare mobile usability issues to SEO performance. Flash usage: Using Flash to display content is generally a bad idea because many mobile browsers don’t support it. Viewport not configured: The viewport meta tag scales a page to fit device screen (this is part of what’s known as responsive design). Not adding a viewport, or not setting it correctly, can cause your pages to display incorrectly on mobile devices. Fixed-width viewport: This error is caused by setting a page’s viewport to a fixed width, usually the fit a non-responsive page on a mobile device’s screen. However, this will cause the page to display incorrectly on other screens. Content not sized to viewport: These pages use absolute values in CSS declarations or use images that don’t scale with browser width. Small font size: As you can guess, these pages have text size that’s too small to read on a mobile device. Touch elements too close together: Buttons or links are too close to other tappable elements to be easily clicked. Users trying to tap these links are likely to accidentally tap the wrong link or button. If you’ve ever encountered this, you’ll know why it’s terrible for mobile usability. 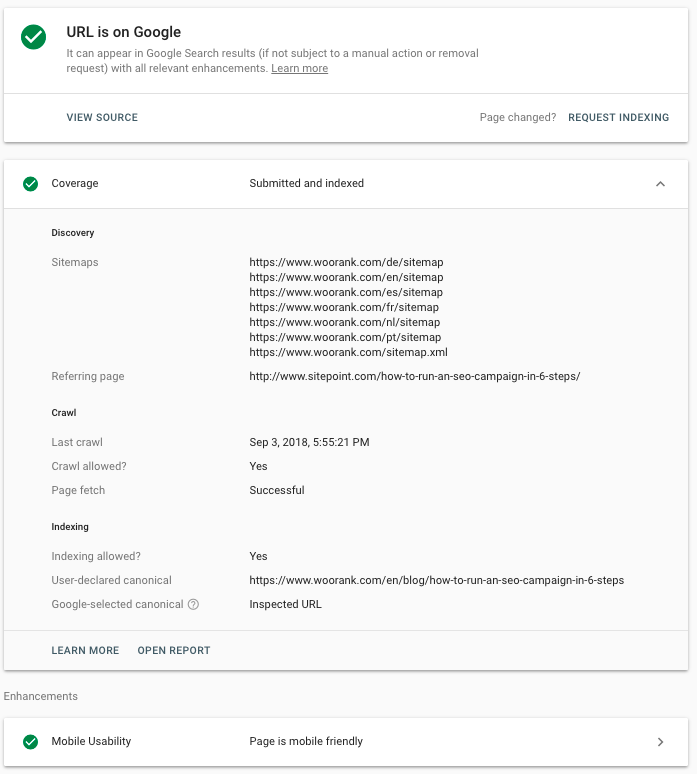 A feature added when the new Search Console left beta, the Manual Actions report is where you receive notifications for any manual penalties your site receives. Hopefully, you’ll never receive a notification here. If you do get caught using tactics that violate Google’s webmaster quality guidelines, the cause and scope of the penalty will be shown here. Google manual actions can apply to individual pages, folders or subfolders or your entire website. Pages currently under a manual action will not appear in Google search results. Fixing your manual action will depend entirely on what sort of issue you’re being penalized for. 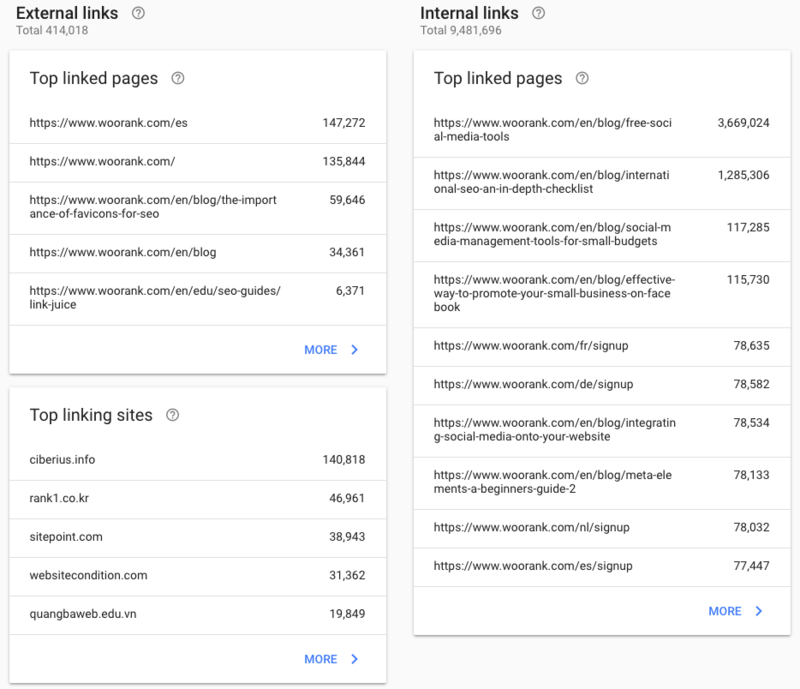 The Links report tells you how many links your website has pointed to it, who they’re from and what anchor text they use when linking to your site. It also includes an internal link report. Latest links: This option downloads the 100,000 most recently discovered links in Google’s index. This data includes the URL linking to your page and the date the link was found by Google. More example links: This downloads a sample of 100,000 links pointing to your site, taken from all of the links Google knows about. This data is just the link page’s URL. You can click "More" for any of the link reports — external links, internal links, top linking sites or top linking text — and download the 1000 rows displayed in those reports. Which content is getting the most links? This is pretty self-explanatory. Uncover which pages on your site are delivering the most link juice to your site. Which sites are linking to you the most? You can see the top root domains in the Top Linking Sites report, or you can click on a domain in that report and see all of the pages on your site that these sites are linking to. Uncover opportunities for potential future partnerships or relationships. 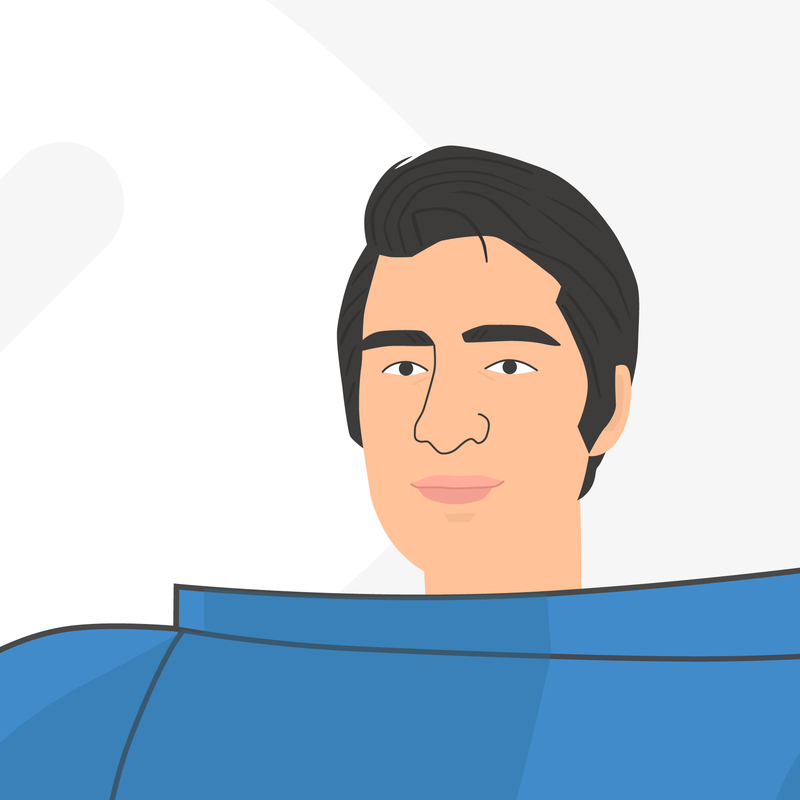 What sort of anchor text is in your link profile? Over-optimized anchor text is one of the signs of a blackhat link scheme. Find potential spam links to disavow. What are the sites linking to a particular page? 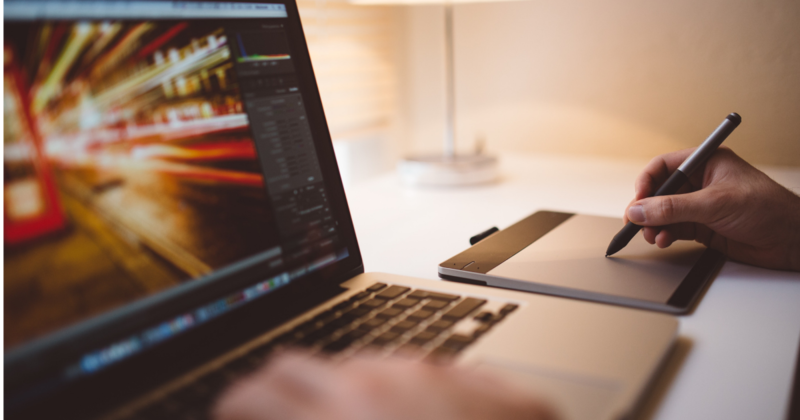 See what types of sites are interested in your content. If a page has good links pointing at it, create more content on the same topic. How are users and link juice flowing around my site? Look at how you’re linking your pages together. Make your site easier to navigate to users and make your link juice more efficient by making sure pages are accessible in the fewest number of clicks. Knowing where your links are currently coming from, and what content attracts a lot of links, is one of the most important pieces of information at the start of any link building campaign. Want more links? 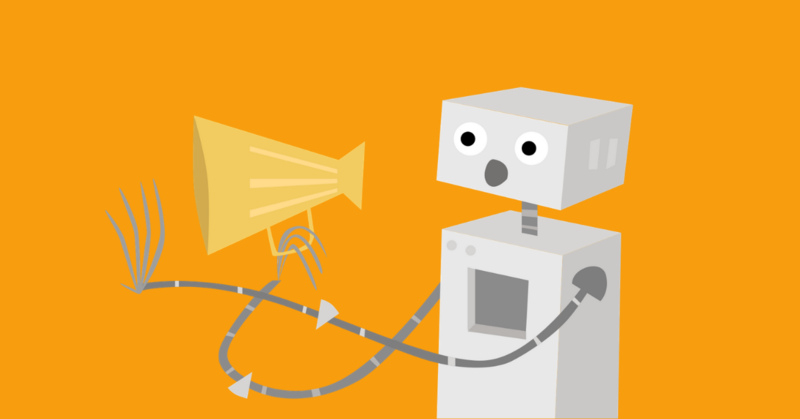 Improve your Google rankings with link building. The new Search Console may be out of beta, but Google says they’ll be adding new features, data and reports in the future. As they said, Search Console supports most use cases, but there are still some features in the old Search Console that haven’t been moved. 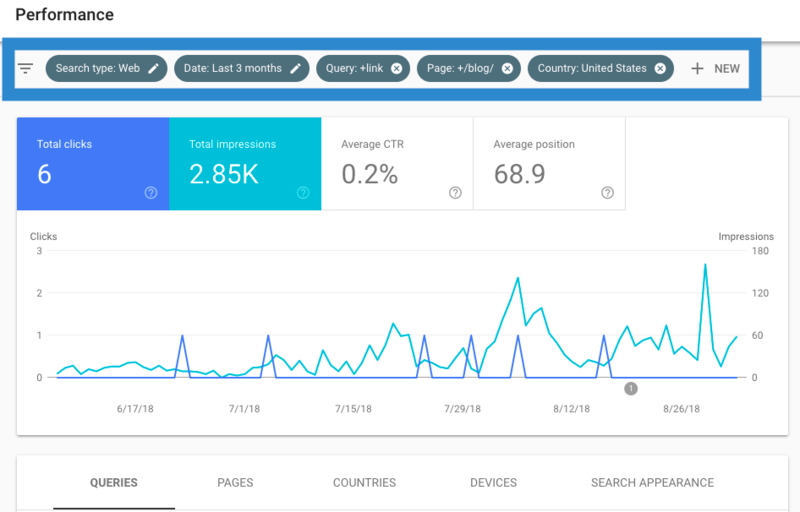 Have you had a chance to use the new Search Console since it left beta? How do you like the new features? Tell us in the comments below.